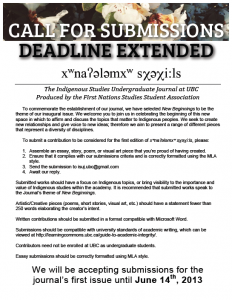 The call for submissions to xʷnaʔələmxʷ sχəχi:ls has been EXTENDED TO JUNE 14th, 2013. 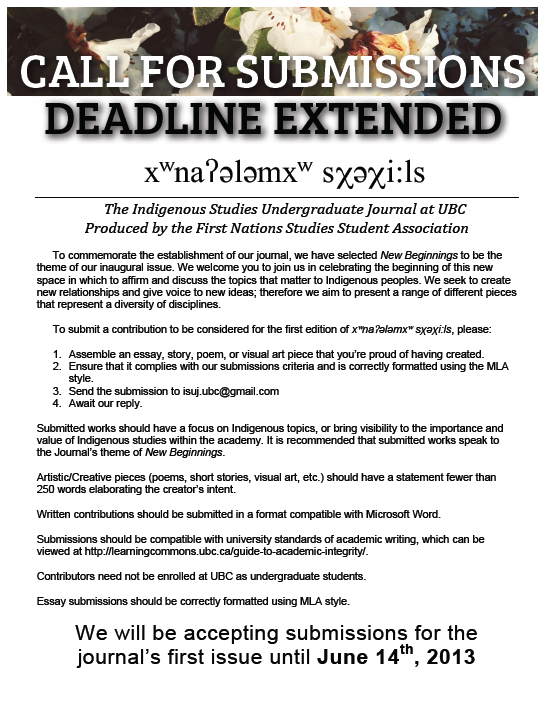 Accepting essays, stories, poems, and visual artwork. If you have something that exists outside these realms, feel free to contact us here at the blog, or the journal team in the Contact Us tab. Check the Submissions criteria in the menu bar as well for any other information you may require. We look forward toseeing your work published in our brand-spankin’ new journal!